Description Temperatures range from 9-11°C. Red-brown blooms and jellyfish continue in terminal inlets. 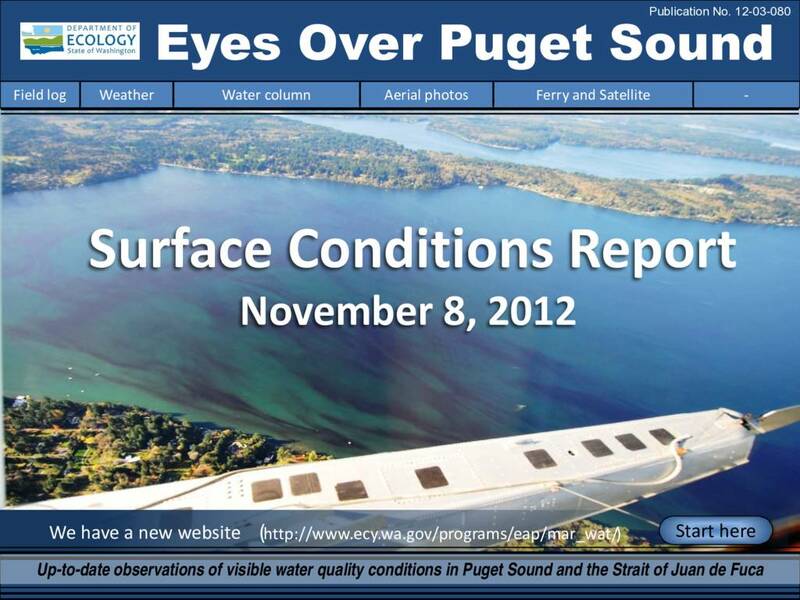 Low fluorescence throughout Central Sound and Admiralty Inlet. Since 2011 much colder and much fresher and oxygen levels are up.